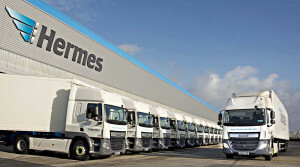 Hermes has signed a partnership agreement with InPost to include InPost lockers into its nationwide ParcelShop network. Initially around 500 automated parcel lockers will be added to Hermes’ network, bringing the total locations in its ParcelShop network to circa 5500. The lockers are accessible 24/7 and are located in a variety of convenient locations including supermarkets, train stations and petrol forecourts.